Would you like some ice with that drive? We are on our way back to Vegas for Christmas. Leaving from Milwaukee, our route runs in a southerly direction to avoid the worst of the bad winter weather. We’re on a deadline, so we can’t afford to be delayed more than a couple of hours. (We normally try to leave more cushion than this to reduce stress and the risks of “get-there-itis”.) 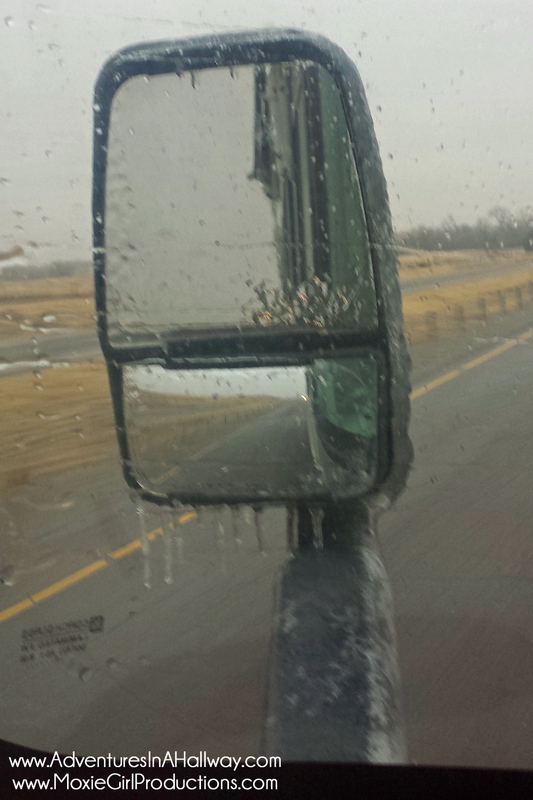 Despite our best efforts, we hit freezing rain as we rolled through Oklahoma. 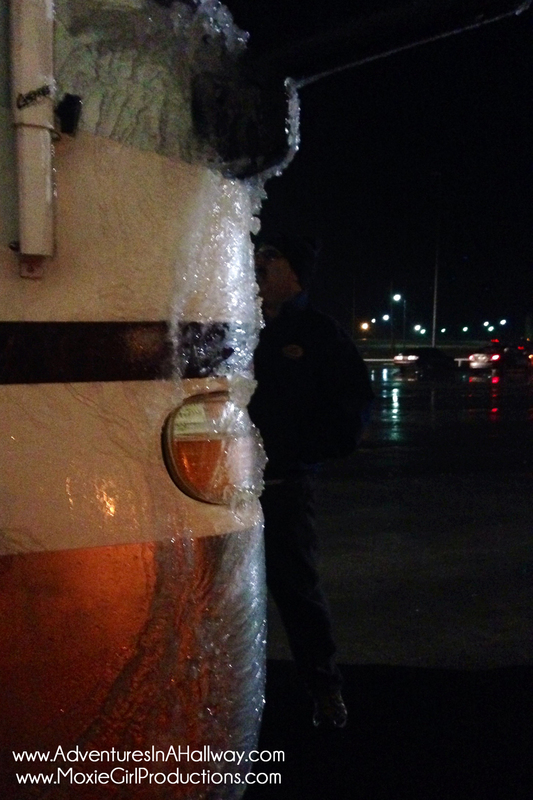 The motorhome was coated with ice before we parked for the night, west of Oklahoma City. As we headed out this morning, we saw two tractor trailers and three cars off the road. Yikes! On a side note, yesterday, I drove the most I’ve driven so far in a day: four hours total. (I generally drive about two hours.) I also navigated my first toll plaza…at night…in the freezing rain! If you have to drive in freezing rain, heated mirrors are worth their weight in gold!